With a 2016 release date now set in stone, Square has unveiled a trio of gorgeous new screenshots for its long-in-development Final Fantasy XV. Showcasing the RPG’s rich and varied environments, there’s even a shot of the gang hitting the road – cue the memes – as Noctis and Co. avast the game’s mighty open-world setting. Though fans were left disappointed following XV‘s underwhelming Gamescom showing, Director Hajime Tabata detailed more of the game’s story via the recent Dawn trailer, charting the turbulent times of the Regis dynasty as it faces the oncoming forces of the neighboring Niflheim metropolis. Currently simmering at around 65% complete according to Square executives, Final Fantasy XV appears to be on the final straight at long last. 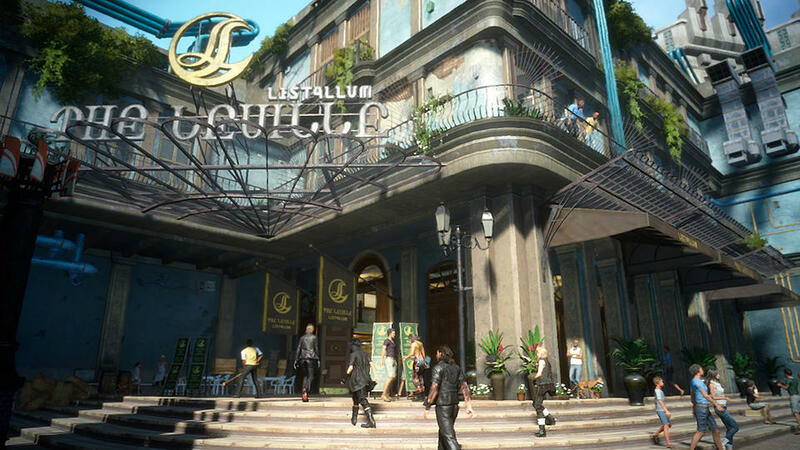 Initially revealed as Versus XIII all the way back in May of 2016, the studio’s latest entry into Hironobu Sakaguchi’s longrunning series has been a decade in the making. Brining a series of new changes and tweaks to the formula, XV will incorporate a real-time battle system that bears semblance to that found in Final Fantasy XIII, while an entirely new cast of characters topline the anticipated RPG. After a prolonged development that witnessed a name change and a small overhaul, Final Fantasy XV will launch across PS4, Xbox One and PC at some point in 2016.